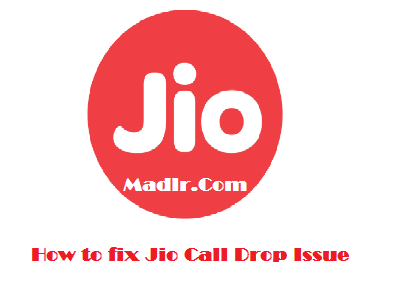 Hello friends, Now Reliance Jio users now facing call drop issue or not connecting issue when trying to call Airtel, Vodafone & Idea number – Here a Solutions to Jio call drop issue. There is no perfect Solution is Jio call drop issue for now but you try this one if works. Solution: Go to the Settings menu and go to SIM Settings. You need to turn the same on and configure the network to LTE only mode by going to Settings → Mobile Networks → Preferred Network Type and choosing LTE only option. Then turn off your mobile phone and turn it on and see if works. Solution: If you are using LTE only android smartphone you need to install Jio4GVoice app from google app store and make calls from Jio4GVoice app. If your smartphone are VoLTE ready so, you did not need to Jio4GVoice app. Solution: If your jio sim not show on your 4G smartphone here a solution → You need to remove your jio sim from your device and insert it again and turn on your mobile. Make sure you have insert your jio sim in sim slot 1. There a not any perfect solution but you can try this. 1. Add 0 (zero) to any number. 2. Try the Jio4GVoice app to call. 3. Insert the Jio 4G SIM into the primary SIM card slot or SIM 1 slot to get the best 4G experience. If you have any question about this post please fell free to comment.